Did you see the evening sky this past week? Venus and Jupiter lining up with the low-slung crescent moon in the Western sky-- "God's fingernail" moon, I heard it called when I was little, and I think of that phrase every time I see it. Following the line of the conjunction with a sweep up and slightly south, Orion showed off the bling of his belt. Oregonians had a rare treat of clear views most nights. The conjunction's over now, and the rains are back. We have to catch the sweetness when it presents itself. 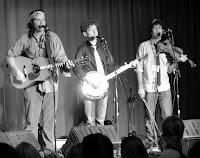 Speaking of sweet presents: I enjoyed a fabulous if sleepless weekend in Bellevue, WA at the Wintergrass festival. 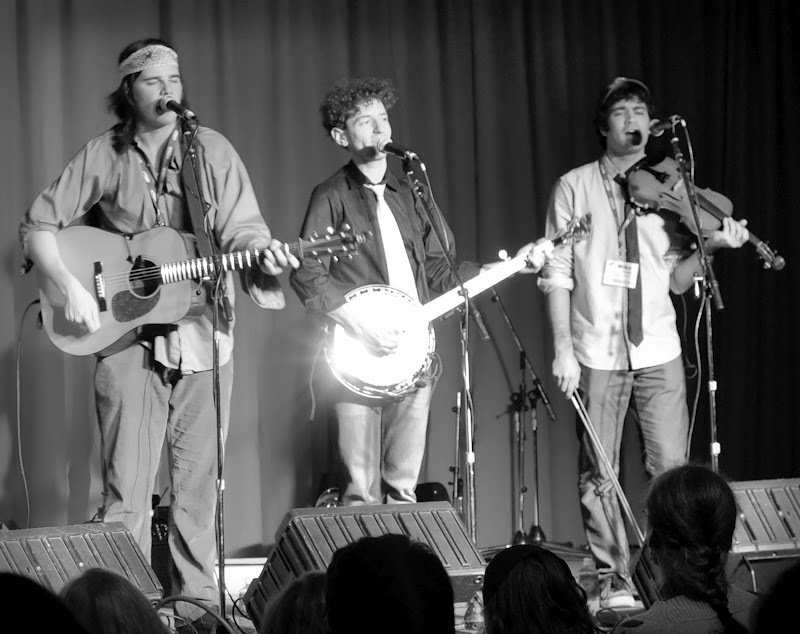 Musicians from all over the US joined Sweden's Vasen, Japan's Bluegrass 45, and Druha' Trava from the Czech Republic in a daze of days of jamming, concerts and workshops. Supergroup Darol Anger, Rushad Eggleston and Bruce Molskey brought the best kind of shock and awe, making way more music than one could believe thirty fingers were capable. 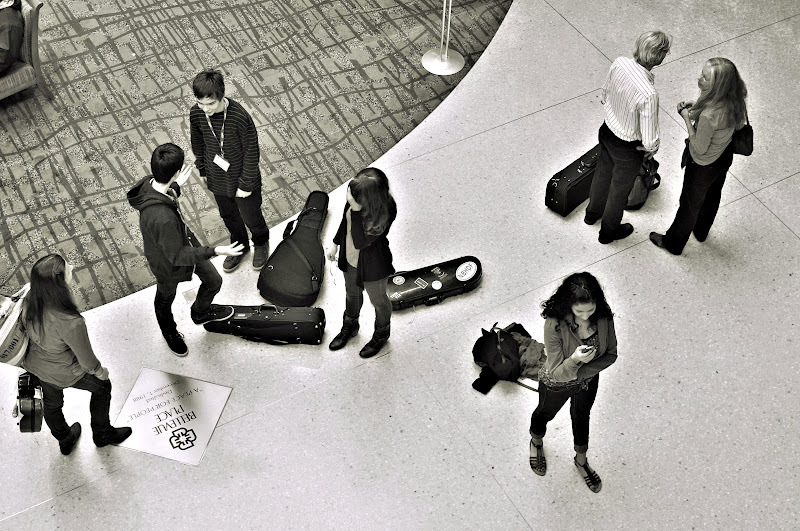 There were hour-long cello jams in elevators, all night fiddle sessions, and strange sorts of pickin'-- bluegrass, chambergrass, ravegrass, coregrass and jazz improv. Sweetest to me were the young people, who led country dances and sat rapt on the stage front floor at every concert. They were also some of the most talented of the players, among them young teen Mila Phelps-Friedl, who chopped out an amazing vocal and cello version of Michael Jackson's Thriller to a packed house. If these folks are our future, we can all relax. They are a healthy, connected and bright bunch. Another highlight of the last few days was (virtually) meeting Japanese artist Yoshiko Yoshido. 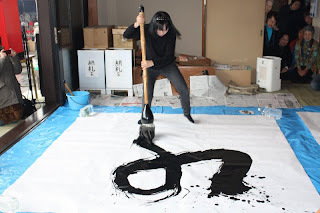 Her current projects are dedicated to bringing honor and remembrance to the victims of the recent tsunami. Her energy and devotion to community is a beautiful thing to witness. This post is a contrast, isn't it, to the last one. And that's life for you-- beautiful and sad, those 10,000 joys and sorrows the Buddha said we all get in this life. We don't have to look too hard for the sorrows. It's important we keep our eyes and heart open for the beauty. There sure is a lot of it out there. We'll close with a little lesson in chopping, from Darol Anger's String Groove series (here accompanied by cellist Rushad). Give yourself a treat and buy some of their fine music! One of the Wintergrass festival highlights for ME, was seeing your smiling face among the crowd of my favorite people in the world (literally). Your secret pie. I am SO outing you, mariacamillo.com, fabulous photographer. If you need pics, this is the gal. PPS-- the photos above are most certainly not maria's-- check out her site to see REAL photography.